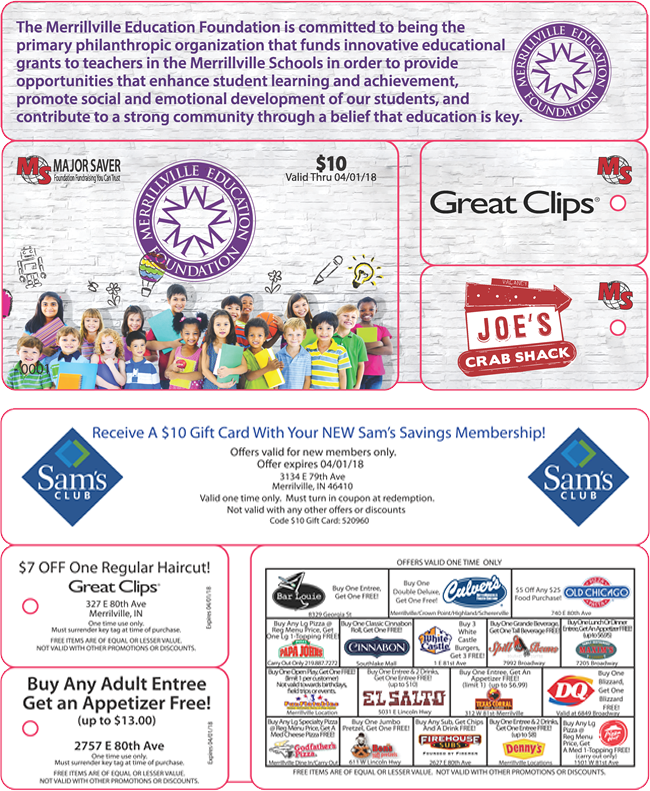 2017 MEF Major Saver Campaign gets underway Friday, March 17! 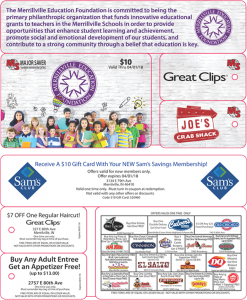 | Merrillville Education Foundation, Inc.
Students in the district will be selling $10 cards with 20 Buy-One-Get-One Free offers starting Friday, March 17th thru Tuesday, March 28th. Since its inception in 2002, the Merrillville Education Foundation has given over $309,000 to the Merrillville Schools in the form of grants and Major Saver fundraising.